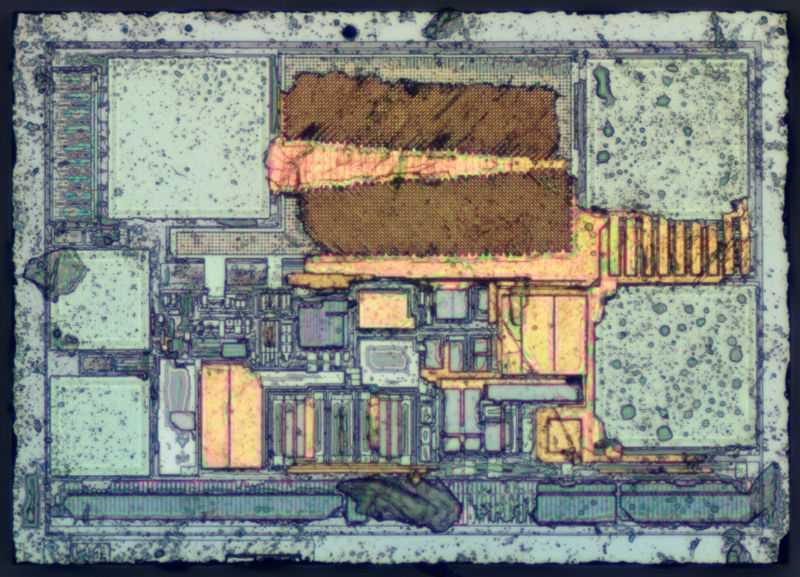 Torex XC6206 is a popular and really tiny CMOS LDO, especially if you compare it to older bipolar ones, which were magnitude larger. 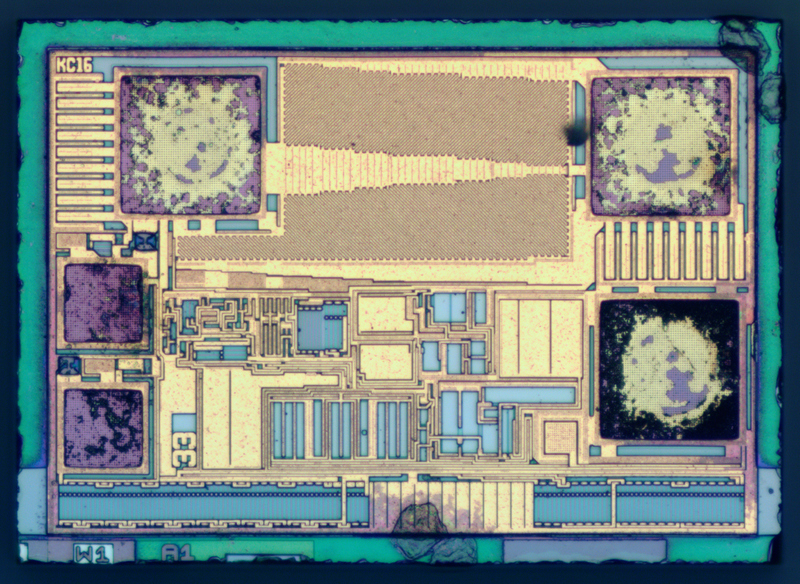 250mA LDO in SOT-23 might be hard to believe at first. Datasheet mentions "laser trimming" but we see voltage set via mask and 2 fuses for fine tuning. It is possible though that they have common values set in mask (like this 3.3V one) , and rare voltages laser trimmed. 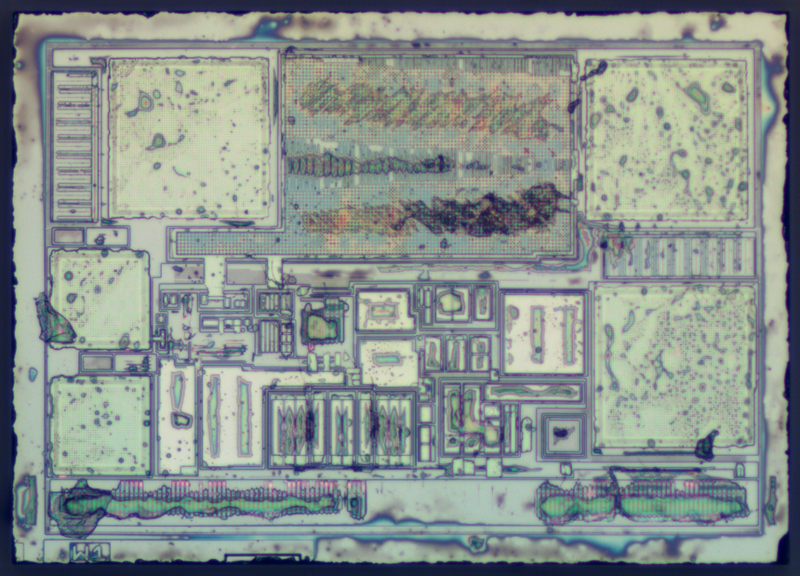 Die size 500x356 µm, 500nm technology.